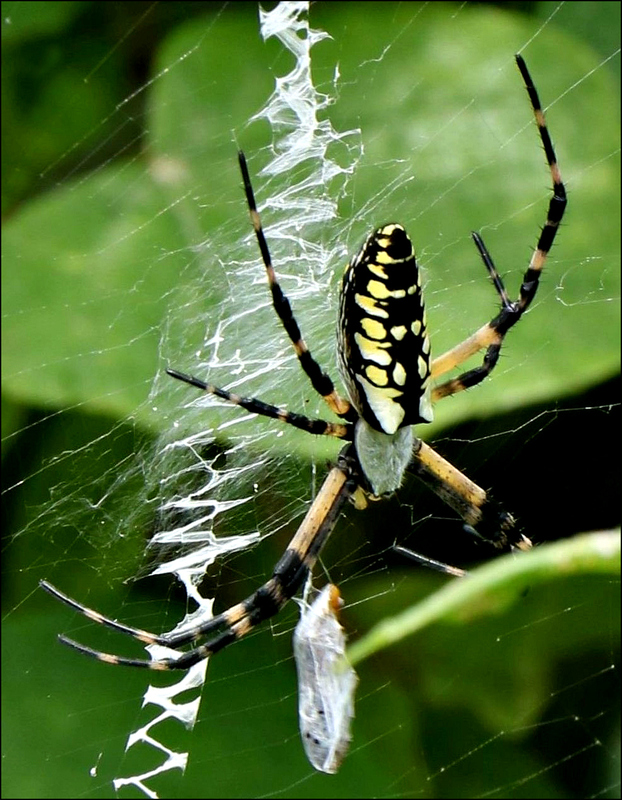 I don’t often encounter the fancy web decorations of Argiope aurantia, the so-called ‘writing spider,’ but when I do, they always transport me back to penmanship classes in grade school: hours of Palmer Method exercises that eventually resulted in legible cursive writing. Unlike our horizontal scribblings, the web decorations of the writing spiders are vertical. 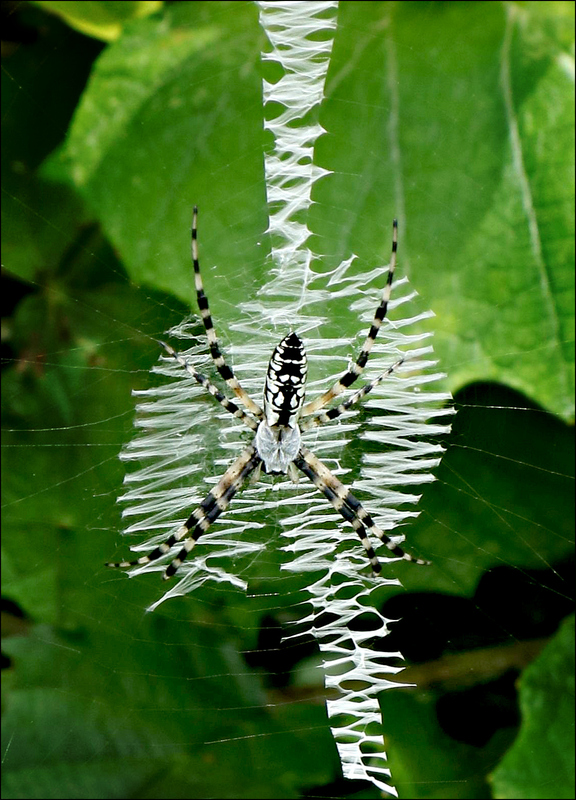 (Other spiders create different shapes, such as circles, and the image at the top has been rotated ninety degrees.) Known as stabilimenta, their purpose isn’t well understood. 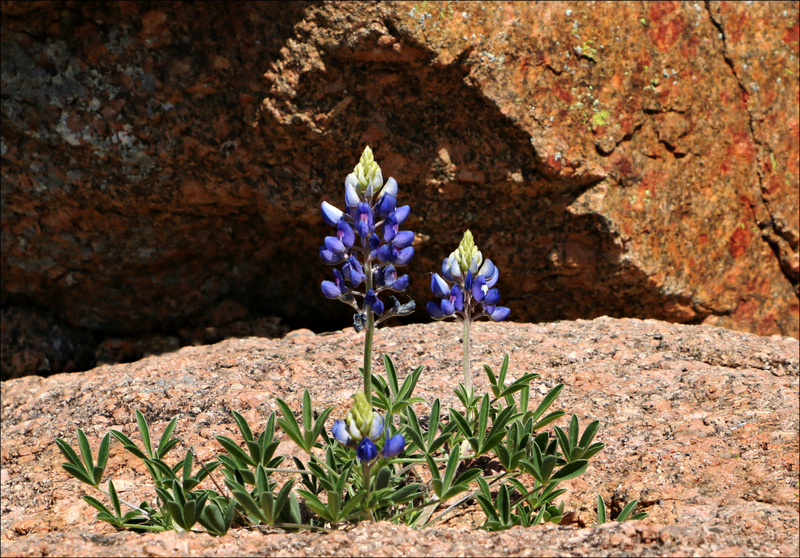 As the name suggests, they may contribute to increased web stability. 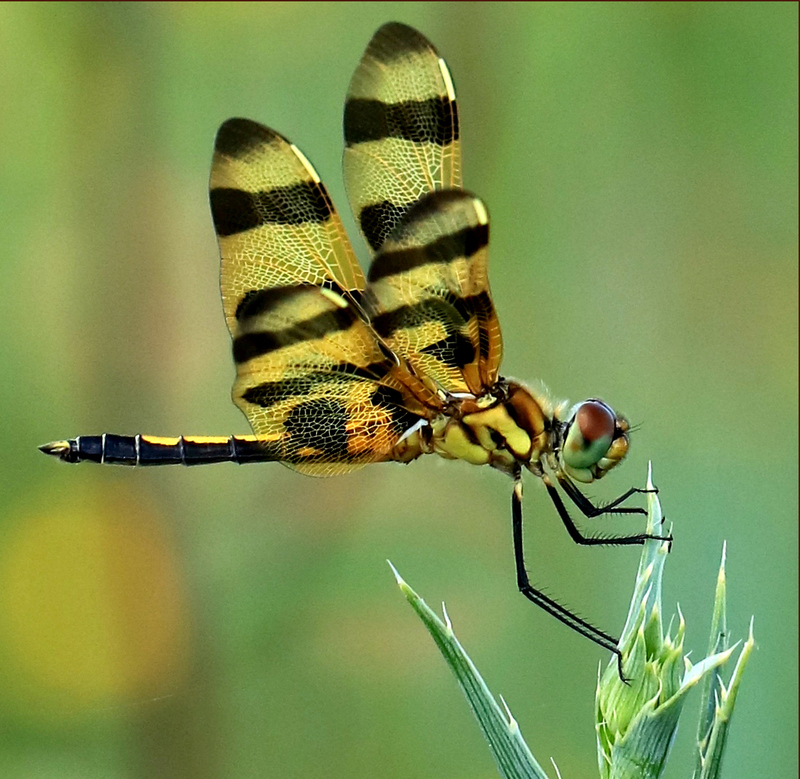 Other researchers suggest prey attraction, defense, and the expulsion of excess silk as possibilities. Despite their size and somewhat fearsome appearance, these orb-weavers aren’t harmful to humans. 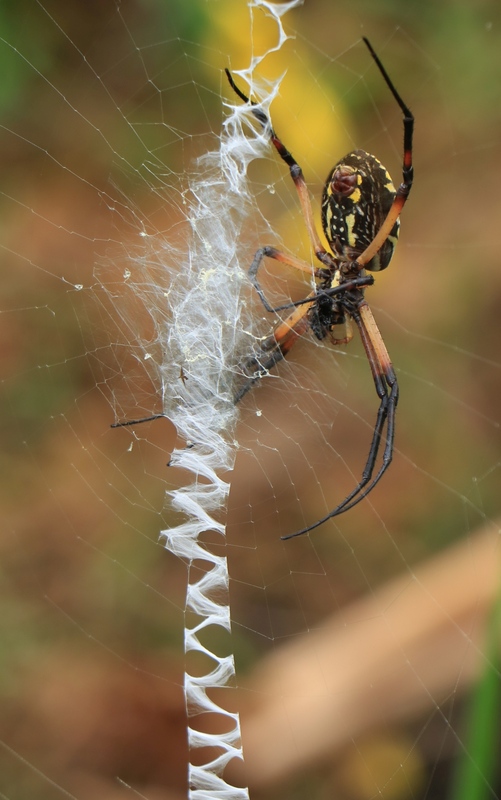 Here, the attractive yellow and black pattern of the spider’s body competes with the stabilimentum for attention. 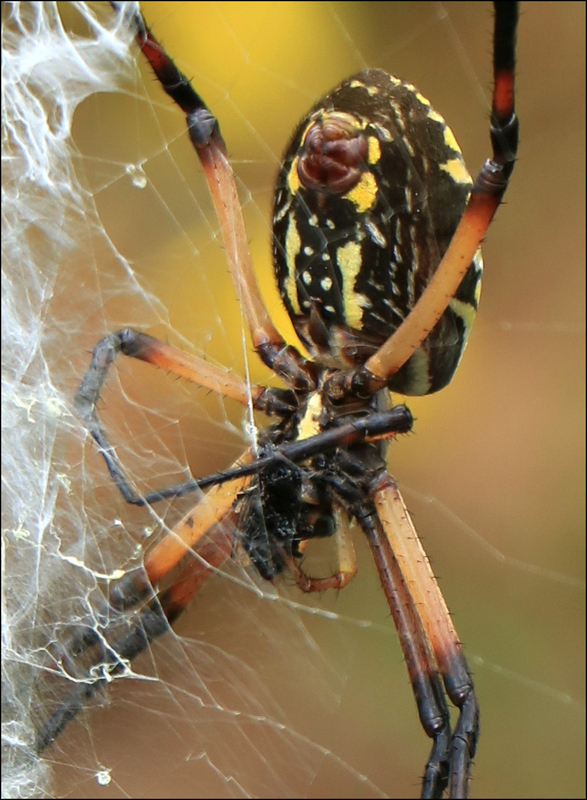 I used to assume the black and white spiders that look so much like the yellow and black Argiope aurantia were another species. Not so — they’re youngsters who managed to survive predation and other ills of spider life. After years of disdain, it may be time for spiders to be honored with a different kind of verse: particularly when they can be so obviously creative. had no way a message to send. who spun her words into a web.